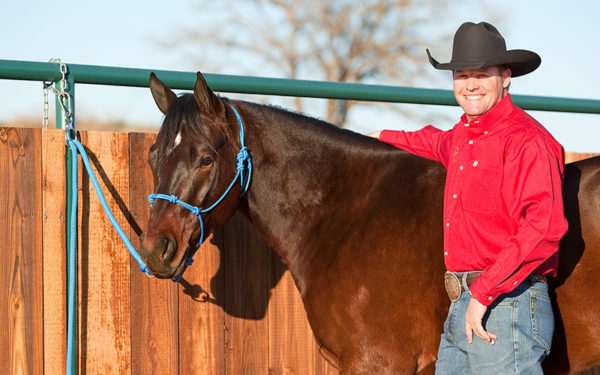 The Aussie Tie Ring is the simpler, safer way to tie your horse! The Mag-Loc feature holds the tongue in place, making the tie ring more stable so it can be mounted at any height. 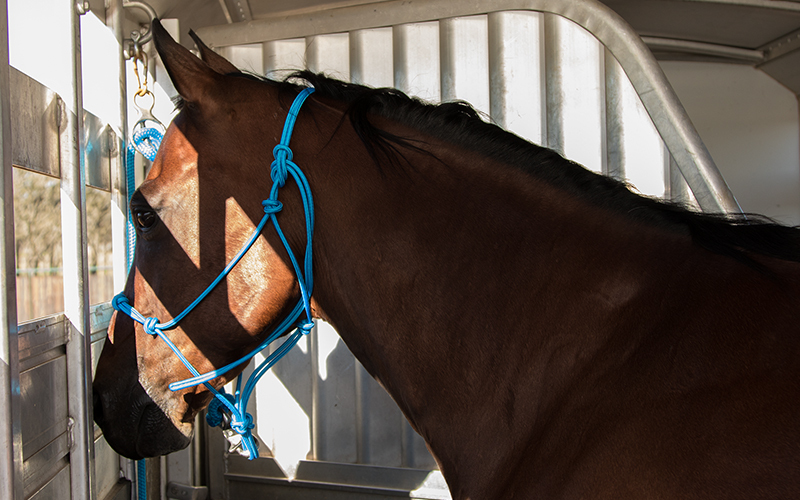 In addition to cross ties, single ties, grooming and tack areas, trailers, high lines and picket lines, you can mount the Aussie Tie Ring 2 on hitch rails. The stays on either side of the tongue prevent the tongue from sliding around the ring so your horse can safely pull slack from any angle. The new specially designed Quick Snap makes the Tie Ring 2 even easier to move from location to location. You can take your horse away from home knowing he will be safely tied just about anywhere. 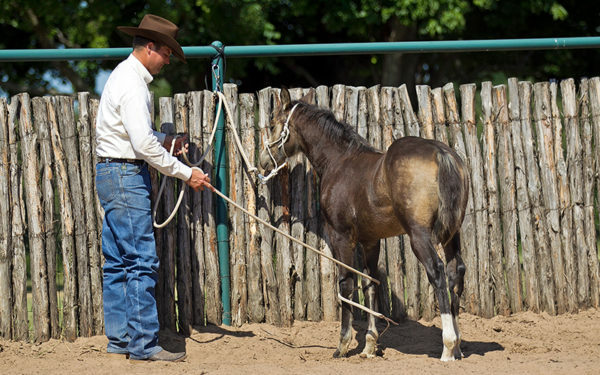 The degree or amount of hold can be regulated by one of several tying options from as little as a few pounds, or as much as a few hundred pounds, depending on the horse and the situation. 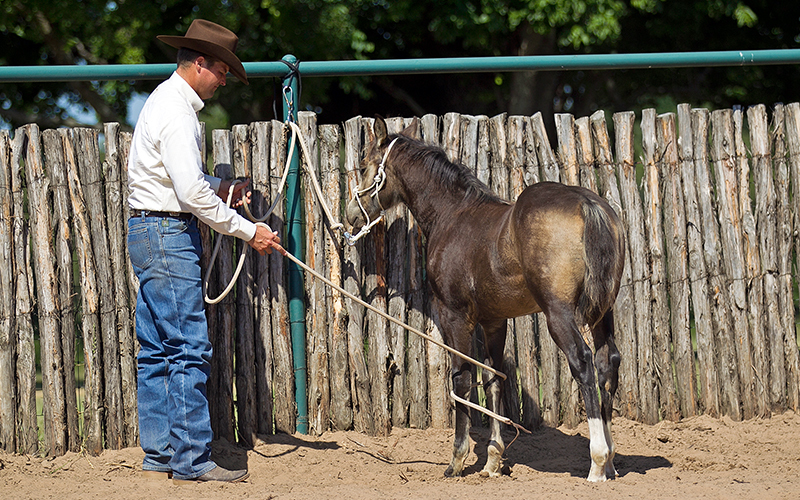 When the horse pulls hard enough, he can pull some slack in the lead rope, releasing pressure and the source of pain and panic. This acts as a great safety precaution if the horse should fall down in the trailer. He’ll be able to pull himself enough slack to get up. Download our Tie Ring Instructions. 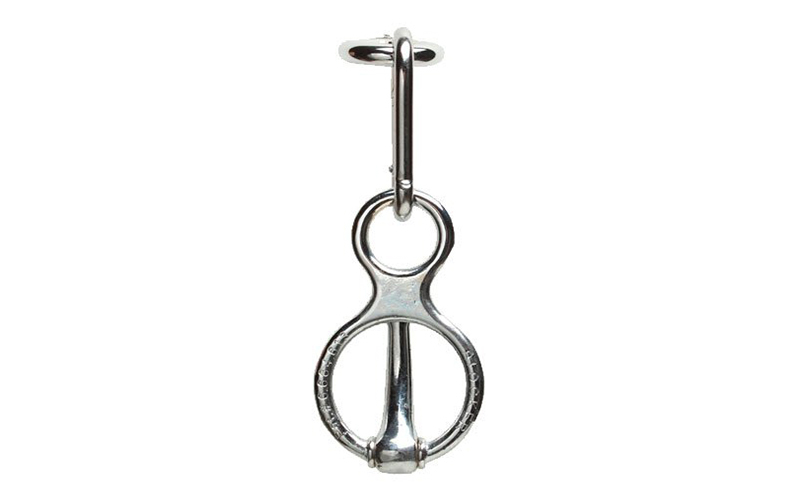 Special Offer: Buy three or more Tie Rings and receive the No Worries Tying DVD FREE!